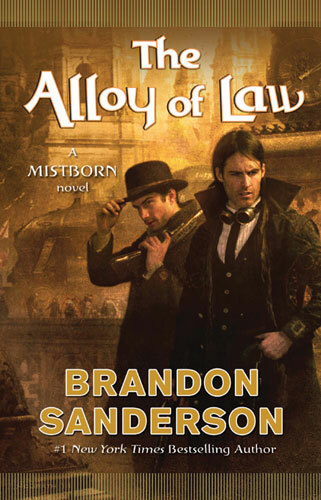 Until the end of the year, you can download Brandon Sanderson's The Alloy of Law for only 2.99$ here. You can also get your hands on the author's definitive edition of Peter Orullian's The Unremembered for only 2.99$ here. 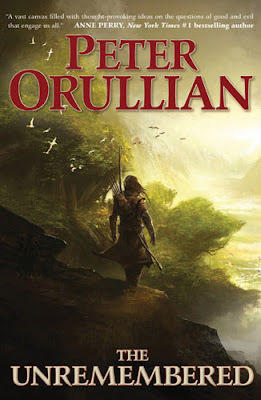 Peter Orullian's epic fantasy debut The Unremembered has been critically acclaimed, earning starred reviews and glowing praise. But now it gets even better. In anticipation of the second volume in Orullian's epic series, and for one of the few times in our publishing history, we at Tor are choosing to relaunch a title with an author's definitive edition. In addition to stunning updates to the original text, we're also including an exclusive short story set in the world of Vault of Heaven as well as a sneak preview of the sequel, Trial of Intentions, and a glossary to the universe. The gods who created this world have abandoned it. In their mercy however, they sealed the rogue god-and the monstrous creatures he created to plague mortal kind-in the vast and inhospitable wasteland of the Bourne. The magical Veil that protected humankind for millennia has become weak and creatures of nightmare have now come through. Those who stand against evil know that only drastic measures will prevent a devastating invasion. Tahn Junell is a hunter who's unaware of the dark forces that imperil his world, in much the same way his youth is lost to memory. But an imperious man who wears the sigil of the feared Order of Sheason and a beautiful woman of the legendary Far have shared with Tahn the danger. They've asked him, his sister, and his friends to embark with them on a journey that will change their lives . . . and the world . . . forever. And in the process, he'll remember . . .